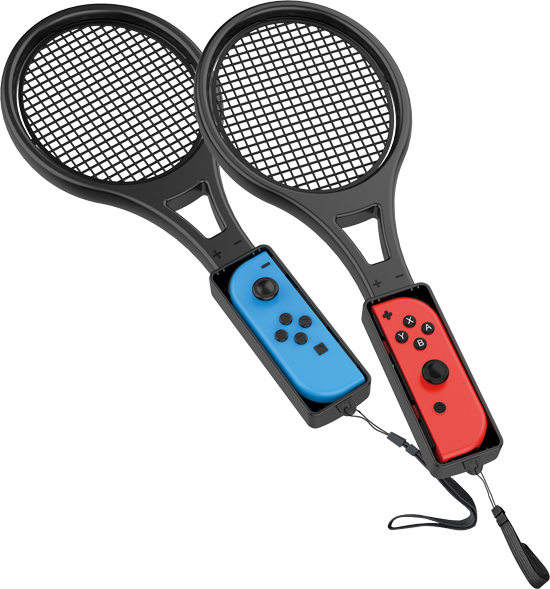 Tennis Racket Twin Pack, a new accessory compatible with the Nintendo Switch, and arriving just in time for tennis season! Transforming the humble Joy-Con controller, into a realistic looking tennis racket, the Tennis Racket Twin Pack is ideal for Mario Tennis Aces (arriving June 22nd), and allows up to two players to serve up an ace with the look and feel of the genuine article! 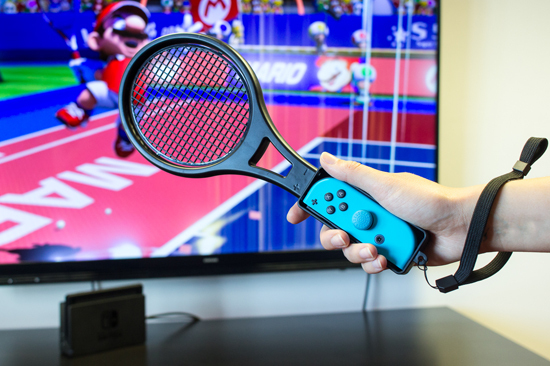 Featuring a lightweight, ergonomic design, the Joy-Con fits quickly and safely into the housing of the Tennis Racket attachment and features a handy wrist strap for extra security. 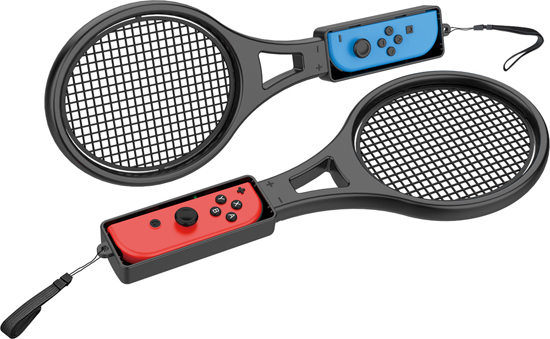 The Nintendo Switch Tennis Racket Twin Pack is available now from Game, Amazon and all leading retailers for an SRP of £9.99.